The IALA team is very pleased to welcome Mr Minsu Jeon as the new Technical Operations Manager. Minsu Jeon will take up his position in the IALA Secretariat on 15th November. He will be responsible for coordinating the work of the four technical committees, in accordance with the agreed work programme of the ARM, ENG, VTS and ENAV Committees and meeting the objectives set out in the Strategic Vision of IALA. His role will involve fruitful cooperation with the Committee chairs and close liaison with the World-Wide Academy, ensuring that technical developments addressed in the Committees feed into the Academy’s capacity-building and training activities. Minsu Jeon will promote cooperation with IALA’s partners and other international organizations. Minsu Jeon is well-known and already has profound knowledge of IALA, through his involvement in its technical committee work, conferences, workshops and seminars over the past 13 years. In 2015, he obtained the Best Student Award for his participation in the IALA WWA Level 1 Aids to Navigation Manager course. Minsu Jeon holds a Bachelor’s degree in Civil Engineering and a Master’s degree in Port Engineering. 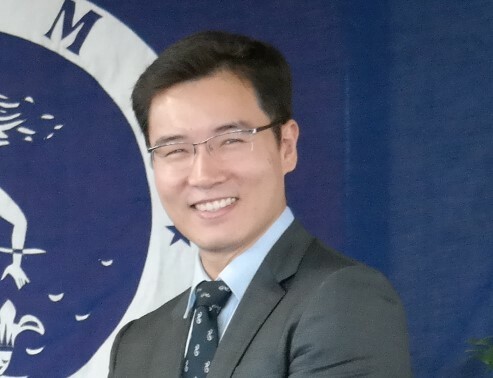 He served in the Korean Navy as a radar operator before joining the Korean Association of Aids to Navigation (KAAN), where he worked for 11 years (2005-2016) and held the position of Chief of the International Affairs Division and Project Management. He is currently working for the Secretariat of the Pacific Community (SPC) as Regional Safety Navigation Adviser. Minsu Jeon will be a true asset for IALA’s work. The IALA team in St Germain-en-Laye wishes him and his young family well for their imminent move to France.